These are typically used to place a sound barrier between a noise source and a target population. 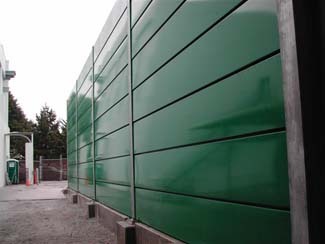 The barrier creates a "sound shadow" zone of quiet that can be tailored to cover almost any size area either indoors or out. Whether you need to protect an entire neighborhood or just a portion of one building, we have a solution for you. Punch presses in the shop, electrical transformers and air cooled chiller units in the community, highway barriers along the Interstate, are all common applications. 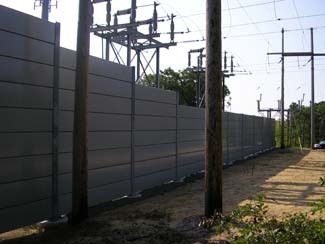 Installation of acoustic barrier walls can dramatically reduce environmental and equipment noise. 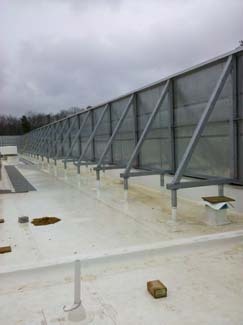 An acoustic louver is a multi-purpose louver used to permit the flow of air while shielding the environment from noise. 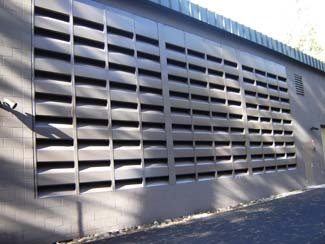 We offer certified louvers with exceptional acoustic and aerodynamic performance with an unmatched array of important features. 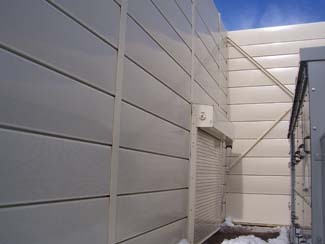 Acoustic louvers are recommended for installation in noisy environments, by incorporating insulated blades that restrict sound transmission through the louvers over a wide range of frequencies. Our blade design offers lower static pressure loss for critical airflow performance applications.